We had some very unusual 56 degree December weather in SW Ohio today, so I figured I would rotate the tires on the Durango. 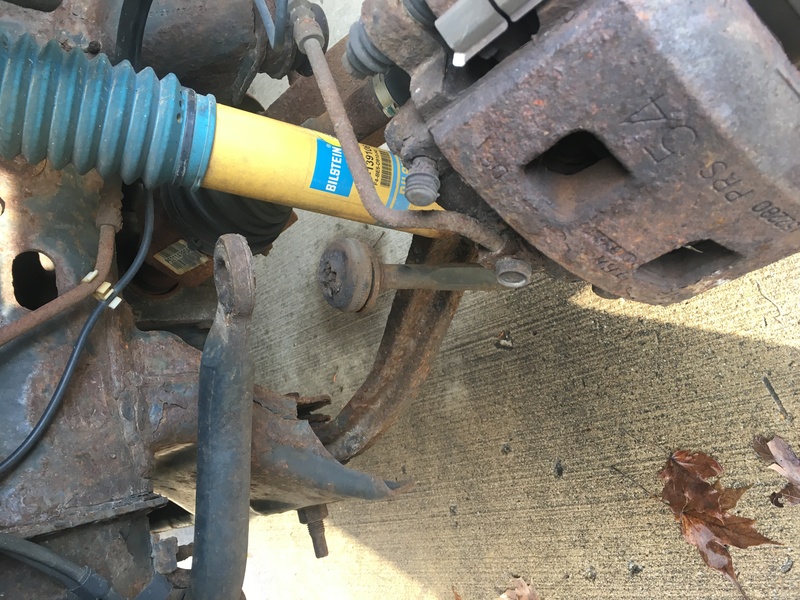 When I removed the driver side front tire, I noticed that something did not look right. 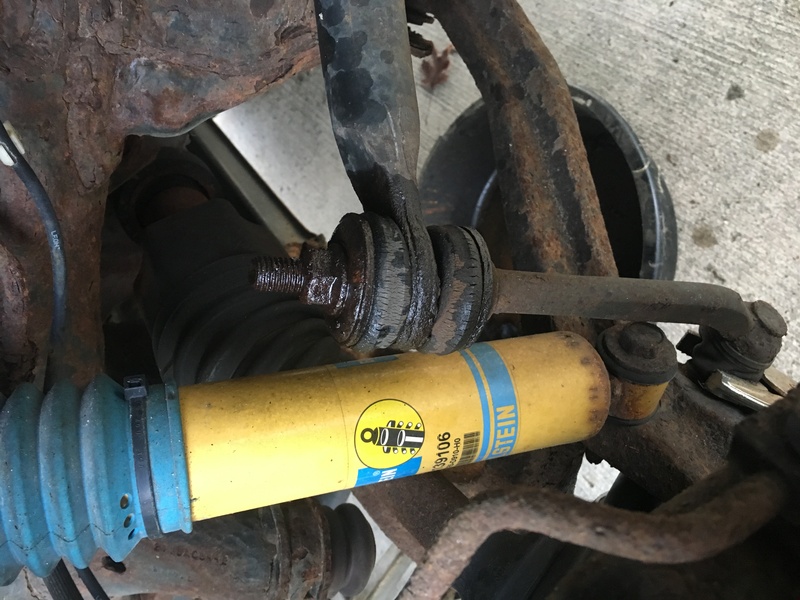 As you can see, the top half of the sway bar end link was missing! 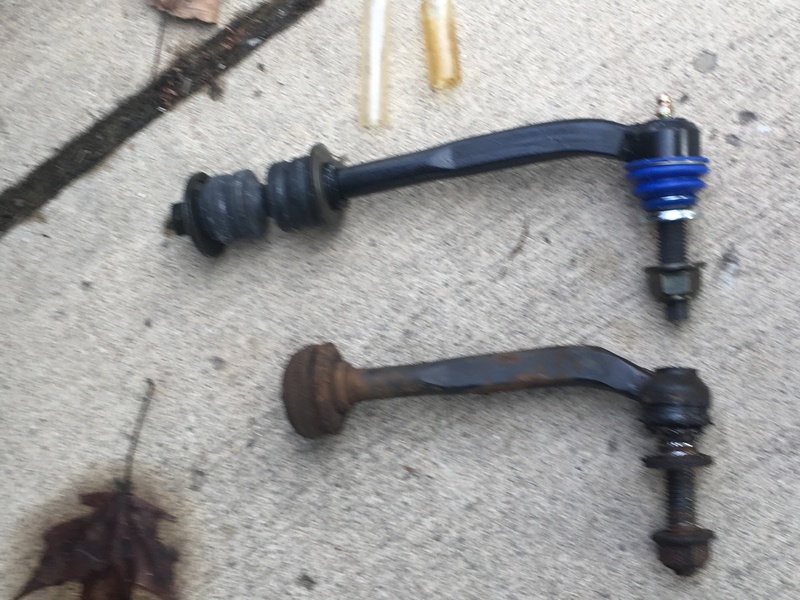 I had purchased a set of NAPA replacements back in April of '11 when I was chasing a front end noise. The links ended up not being the issue. Before you begin, use the 8mm socket to install the provided zerk fittings on the bottom pivot joints of the new links. NAPA specifies that the links are pre-greased, and advise to not grease them at this time. 1. With the vehicle safely elevated, remove the tire. Soak the upper and lower end link bolts with PB Blaster or your fav solvent. 2. Use the 22mm socket to break loose the lower link bolt under the lower A arm. I ended up having to remove the boot between the bolt and its pivot joint so I could apply my vice grip to stop the bolt from rotating. 3. 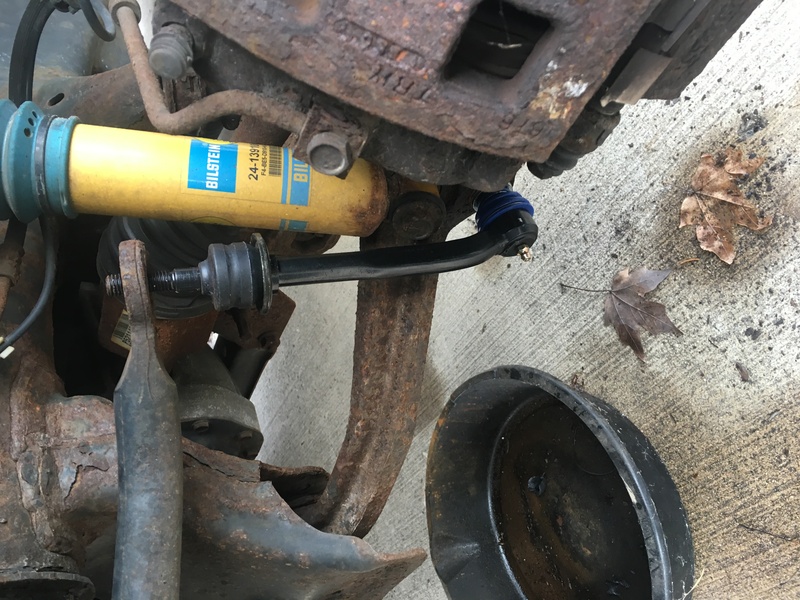 Next, the 18mm socket is required to remove the upper link to sway bar bolt. Obviously, I did not have to do this on the driver side broken link. The passenger side upper bolt was intact though. While removing it, the bolt seized and snapped off. 4. Reverse the removal process to install the new links. You may find it necessary to use the 10mm wrench to hold the lower bolt stationary while you snug it with a 22mm open and or adjustable wrench. Once it snugs up, you should be able to do the final tightening with the 22mm socket. With the suspension allowed to droop as it will, I ended up using a floor jack to raise it via the lower A arm so the top nut can be installed. In 2011, FCA wanted $125 each for the oem pieces, while NAPA was $36. Currently, NAPA says $64 each. The zerks don't appear to be included anymore. I believe the NAPAs have a lifetime warranty which sweetens the pot. The factory service manual says the upper link bolts should be torqued to 27 ft lbs, and the lower bolts to 125 ft lbs. I got the lower bolts as tight as I could with my half inch ratchet, but I doubt they are 125 ft lbs! Please observe all common sense precautions. You mileage may vary. Last edited by Don Fox; 12-28-2018 at 07:23 PM. Durangutan and DuRonbo like this. Were the old links OEM? Did you notice any handling or ride issues prior to this? Or just happened to notice it only with the tire rotation? The links were original. It was the driver's front that had broken off. Now and then, I would notice a bit of sway motion as in rocking side to side on rough roads. There wasn't any creaking, thumping, or other audible signs of the damaged link. I made the discovery because I was doing the rotation. 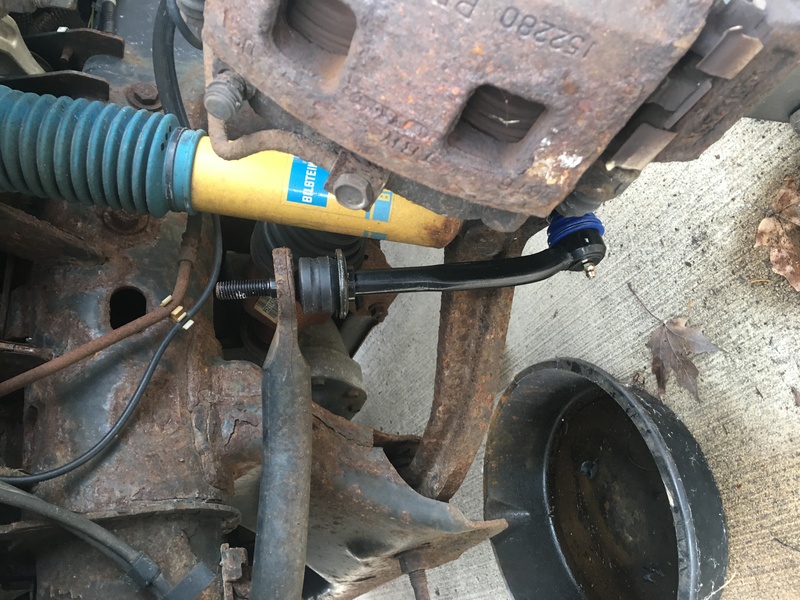 Don...I see it's been about 14 months since you replaced the Sway Bar Links. How are they holding up? Approx how many miles since the change? I'm getting ready to do some major front suspension parts replacement within the next few months and I think it would be a good idea to have these done as well. 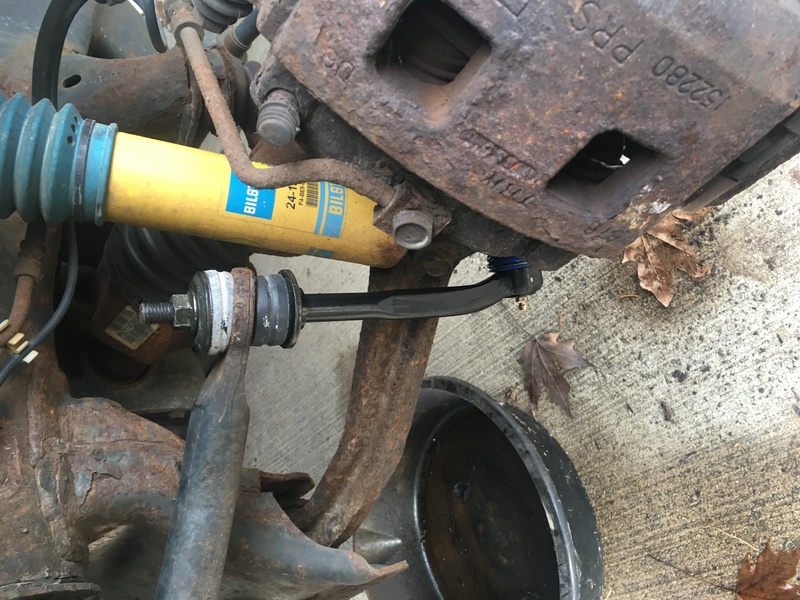 Front Upper/Lower Control Arm/Ball Joints at 200k miles. I think it's time! My log shows I did the links along with a long overdue tire rotation back in December of '18, so its been about 4 months and roughly 2K miles since then. No issues to report. The suspension is quiet for 15 years of age and just over 115K. Sorry Don....I was using Common Core Math! For some reason I was thinking it was over a year ago. Thanks for the update. I'll add them to my list of things to change.